Find the perfect teacher or instructor in Loyola Corners for private flute lessons in your home or in their studio. Check out some of our most popular teachers near Loyola Corners including San Jose, Sunnyvale, Palo Alto, Mountain View and Santa Clara. I can help beginners get started or coach advanced students who are preparing for auditions. I view my role as an educator to be bigger than simply training a performer. I believe in creating a complete musician--one who thinks deeply about music. I accomplish this by working on, yes, the technical aspects of playing an instrument, but also through constant listening, ear-training, theory education, and history education. I engage both children and adults through fun activities that build musical knowledge. atterns, etc. to ear-training activities, progressive study pieces, and long-term repertoire projects. For some students, I also add listening or light research assignments to encourage musical discovery. I have flutes to rent to students for a small maintenance fee. I provide all of the educational materials for piano students though may ask a student to purchase a book or two. I occasionally can provide or lend sheet music, but mostly I expect the student to purchase those materials as well as books for theory/history. My flute students receive methods all over the board from Marcel Moyse, Taffanel, and Gaubert to Trevor Wye and Wagner. My theoretical knowledge is quite comprehensive and always taught through a historical lens. My piano students (I have several young beginners currently) receive combined methods from Bartók, Faber and Faber, Bastien, Donald Waxman, and many of my own inventive techniques. I have experience with special needs students, especially with neuroatypical students. Thank you Gabriel for teaching Jude. You are always prepared and know how to engage him in playing the fife. Jude loves the Christmas music you selected for him. I believe in teaching strong fundamentals so that we can have a solid foundation to build on. Good tone and an understanding of embouchure are most important, and we will develop technique. I enjoy helping students achieve their goals and develop their talents. Victoria came to the Bay Area in 2015 from Atlanta, Georgia where she received her music degree from Georgia State University. She has been playing the flute for 15 years and is knowledgeable in music theory and aural skills. Her teachers have included Allison Gillon and Sarah Ambrose, and has participated in masterclasses with professionals such as: Julien Beaudiment (former principal at LA Philharmonic), Christina Smith (principal at Atlanta Symphony), and Viviana Guzman (international touring artist) to name a few. orks with the Homestead High School Marching Band while maintaining a private studio. She also plays with the Foothill Symphonic Winds. She believes in teaching strong fundamentals. Students will have the opportunity to perform in recitals, audition for local ensembles and at the state level, and often reach the top chairs in their school bands. Lessons are tailored to fit each student's specific needs and goals. 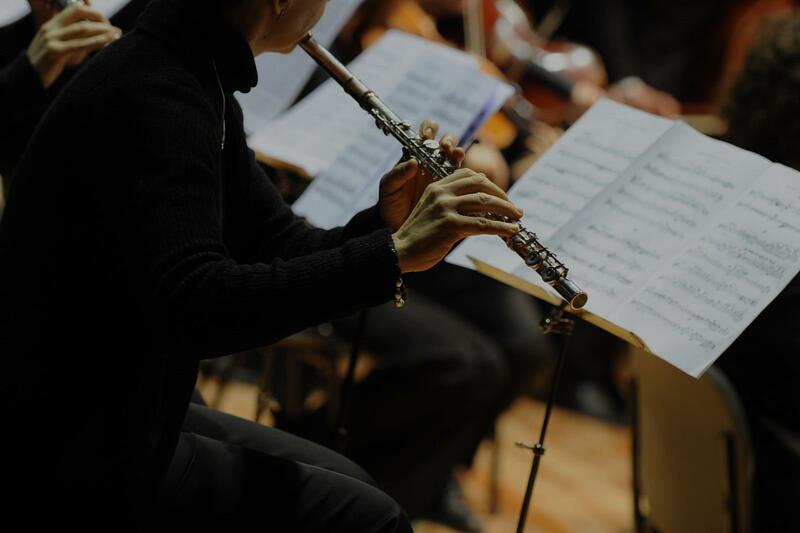 All levels of experience are accepted; whether you are just beginning, an intermediate player, prepping for an audition, or picking it back up after a long break. In her free time Victoria enjoys traveling, camping, hiking, reading, dance, and gymnastics. Victoria is an excellent teacher, attuned to me/her student needs and explain the instructions in different understandable ways! The lessons are for my 9 year old granddaughter. She was very excited to meet Victoria and thoroughly enjoyed her first lesson. We are looking forward to my granddaughter learning to enjoy playing the flute. I think we chose well when we engaged Victoria. Victoria is always punctual and my daughter enjoyed working with her first private instructor. This experience was purely for the summer, so we are taking a break, but would recommend Ms Victoria to other new flutists. Hi! I have a Bachelors in Music Education and have taught lessons for many years. I have 3 children and decided to give up regular teaching to be with them. I have taught at over 10 different Marching programs. I marched Drum and Bugle Corp. I have played brass a lot because of it. I can bring an eclectic education to teaching flute my primary instrument, but I can also teach many other instruments. The main problem I have noticed with beginner flute players is the in ability to focus their air in the most efficient way to produce a rich tone. I believe tone is the most important area of study with any instrument. It doesn’t matter what you can play if it doesn’t sound good. I can help with music you are having trouble with and also with fun music! The term is to “play” your instrument, isn’t it! -	Provide a safe learning setting that encourages my students to explore their potential. -	Design fun and effective exercises based on each individual’s strengths and weaknesses. -	Incorporating Body Work principals (Alexander Technique, Feldenkrais, and Anatomy) that will help students build fast and easy a strong, effective and pain-free technique. engaging their imagination and creativity. flute-playing as well as a strong self-esteem through music making. Music has always been what I love to do. I am deeply grateful to all my teachers and mentors throughout these 18 years such as Judith Mendenhall, Samuel Coles, Paul Edmund Davies, Wissam Boustany, Luis Garcia Renart and many others. I have performed in concerts throughout the United States, China, Hong Kong, Taiwan, Europe in such halls such as Lincoln Center's Alice Tully Hall, Harvard's John Knowles Pain Concert Hall, Yale's Woolsey Hall, National Center for the Performing Arts in Beijing, Shanghain Grand Lyric Theater, Hong Kong Cultural Center and the Megaron of Music in Greece. s been a passion for me. I particularly enjoy playing music written for Woodwind Quintets. I think that all aspects of performing as a flutist have their own unique beauty. "On time, polite, knowledgable, and talented! What more do you need?" San Jose, CA teacher: Victoria W.
the results. My daughter played well when Victoria started to teach her, but with her instructions she has stepped up to the next level and her tone has improved a light year." my granddaughter learning to enjoy playing the flute. I think we chose well when we engaged Victoria." "Victoria is an excellent teacher, attuned to me/her student needs and explain the instructions in different understandable ways!" "My daughter really enjoyed her first lesson with Victoria." daughter got a scholarship and into the group she wanted because of Victoria's help! She was flexible with my daughter's crazy schedule and helped her feel confident in her abilities. Thanks Victoria!" Electric Guitar Accessories: What's in Your Gig Bag?